This doesn't usually happen - but my teenagers were actually looking forward to the same event as me! It's the kind of good old-fashioned fun that everyone loves. 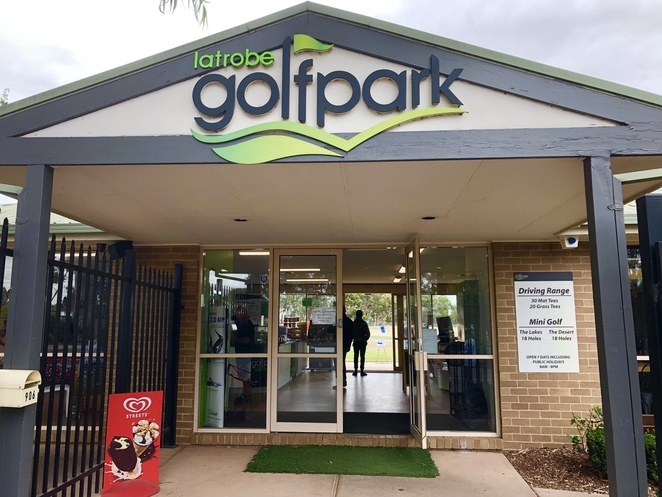 When we arrived at Latrobe Golf Park Mini Golf and Driving Range, we were met by wide smiles and a hearty welcome. We started with the killer milkshake (mental note to self to go back and try some of the other delicious varieties), sampled the generously sized yo-yos and downed the odd snake lolly. Apparently, the lemon slice made by Nana is on beatable but you have to have to get in fast! It was a toss up where to start but we got 200 balls worth of driving range fun, in contrast to the too common electronic device overload weekend. A bucket of one hundred and five balls for matt driving costs $17. This gave us lots of fun and laughter. My kids were mainly laughing about my inability to hit the ball. I quote from some candid comments to give you an idea of the mood. 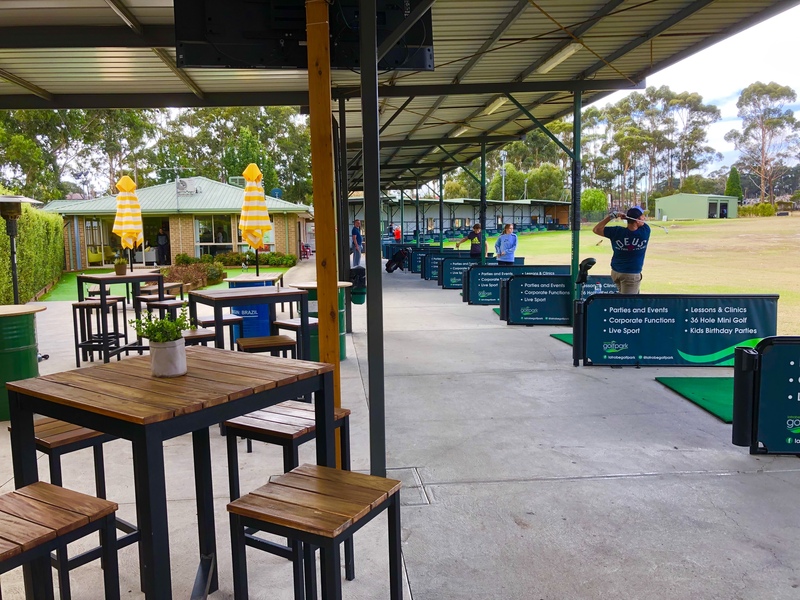 I had the chance to talk to some regulars who complimented the venue because of the number of lanes they have, the condition of the mats and the friendly staff. One patron said it's the only one around. During our attempts at golfing one of the staff, Jackson gave us some advice. They also have a golf pro who gives private lessons (even for juniors) and a fitting centre as well. I have fond memories of this place because we have had two very successful birthday parties here in the past. The whole family loved those birthday parties and since then, the new playground was built. The boys still remember them now. Watching the other excited kids from parties held today, it reminded me of how much fun those kids had. One family we met said it was the father's birthday choice to celebrate at mini golf. They had been there a number of times and loved it. 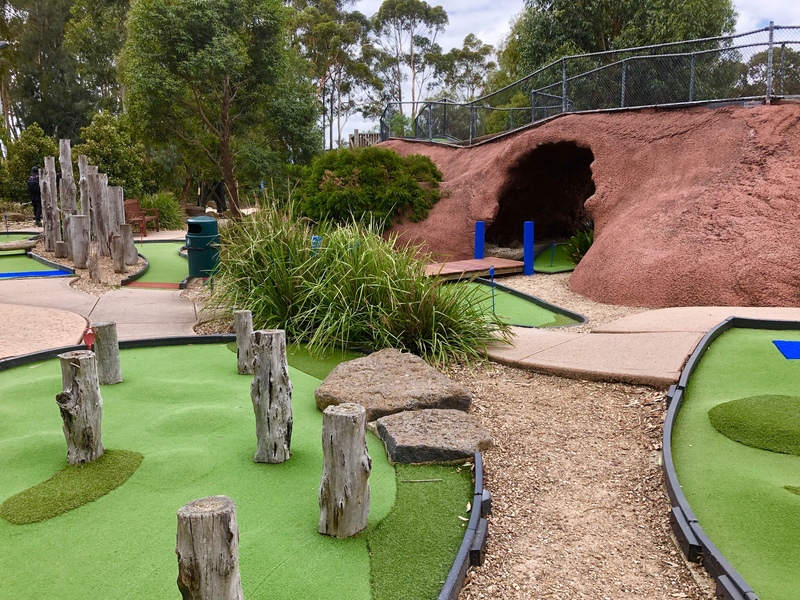 Another party of four-year-old boys whipped around the holes like a laughing thunderstorm. Overall there was fun all round. And for those having partied – there's the no cleaning up benefit! This is a one-stop entertainment venue for the whole family. It is very well maintained, unlike some mini golf centres I've been to that need a good spruce up. Latrobe Golf Park Mini Golf supplies scoring cards, golf sticks and balls - they even supply sunscreen and Aeroguard! Something I noticed that I really like at a venue is how much the staff seems to like working there. It's a good sign. 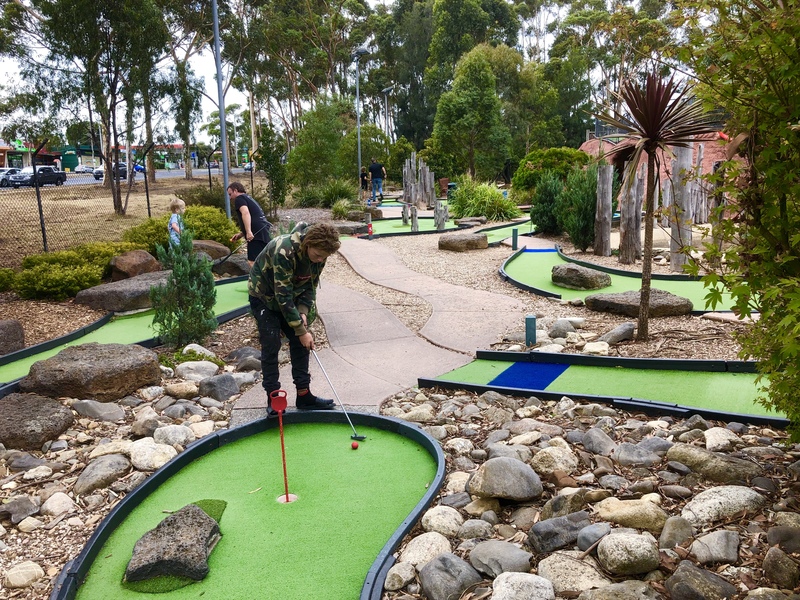 My only disappointment was how badly I fared at the mini golf competition. Over par and beaten again by kids! This means I need to go back and have more practice and I can't wait. There's a lot going on at Lat Trobe Mini Golf and Driving Range: Functions, parties, happy hour, Uni night and gift vouchers are just a few. 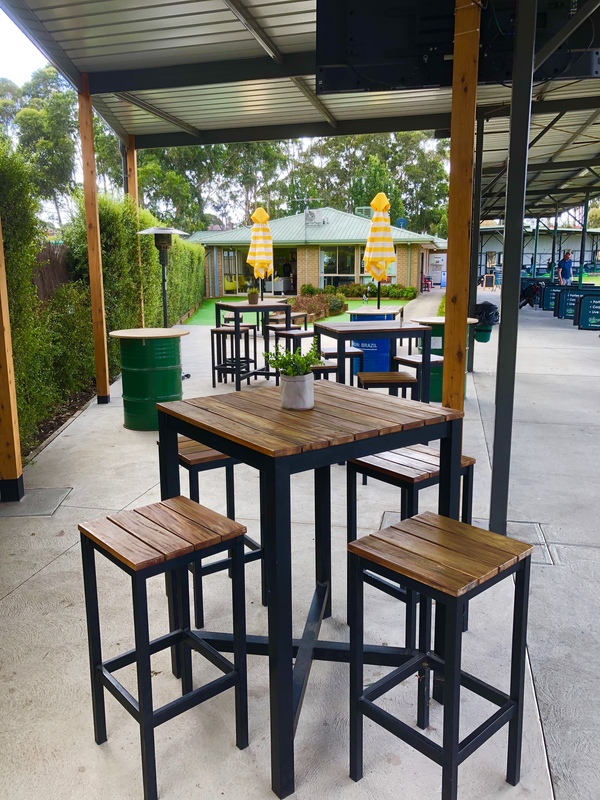 They host a variety of events, including corporate functions, team-building sessions, Christmas breakups, birthday parties, engagement parties, hens nights, bucks nights and anything else you're looking celebrate. They have two outdoor spaces, two adventure Mini Golf courses and an expansive driving range to make your next function a hit. The friendly staff are very attentive to make sure you a stress-free day. There are also dessert options. 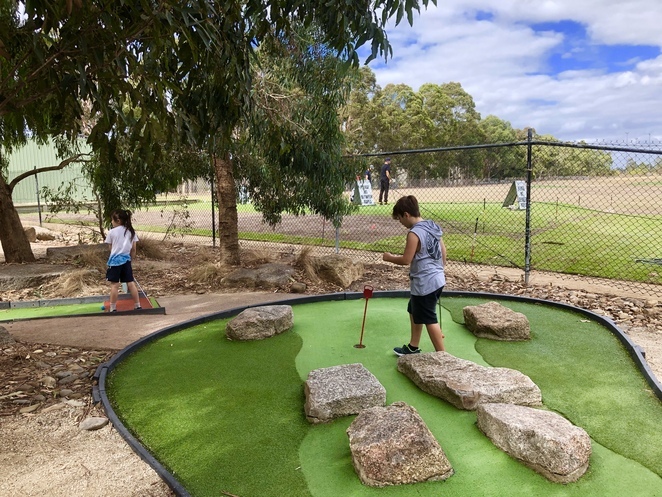 •	If unlimited Mini Golf is chosen, the optional extra to use the Driving Range is $10 for 70 balls with free club hire. 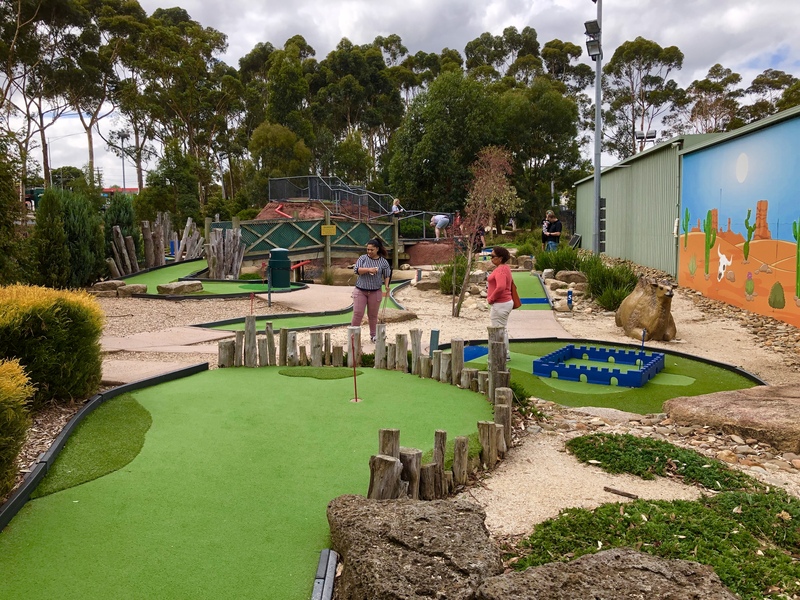 •	If unlimited Driving Range is chosen, the optional extra to use the Mini Golf is $10 p/p for 18 holes. If you're looking for a stress-free entertaining kids party in the northern suburbs this is the venue for you. As well as a Fully Catered party at $20.90, you can choose a Self Catered party for $16.90. They can provide adult platters if requested. Just ask. There's so much to do and you don't have to book, although they recommend for parties over ten you give some advanced notice so they can serve you better. 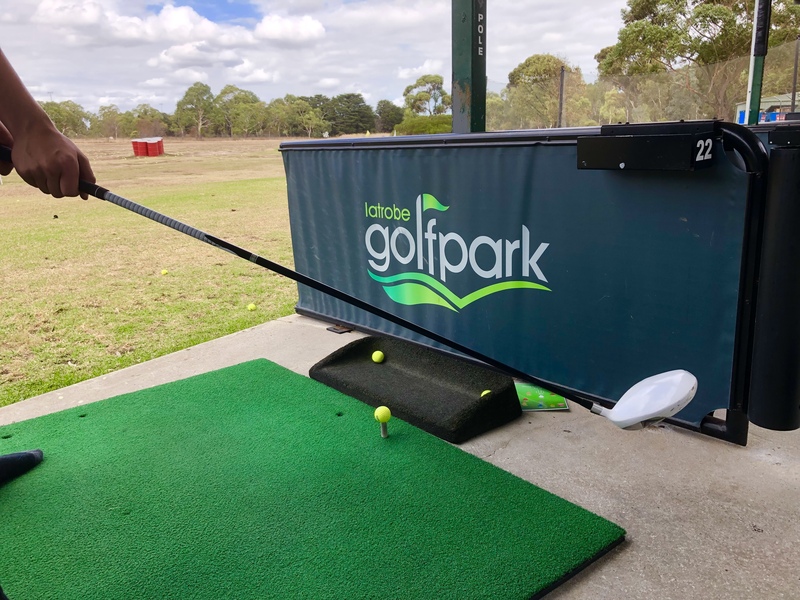 Even if you can't play golf or maybe because you can't play golf… you'd be mad not to give it a go. If I can do it you can. Guaranteed fun! They have extensive hours but please see their website as they vary with daylight savings. Matt tee – 35 balls $8, 70 balls $14 and 105 balls for $17. We used 200 balls in about 40 minutes. I think my son would have hit off all day. Ask about early bird and other concessions. Nicely written Jeni. As far as your golfing ability goes, 'been there, done that'. There is a similar venue 2 kms from home, so I'm tempted. Neil.